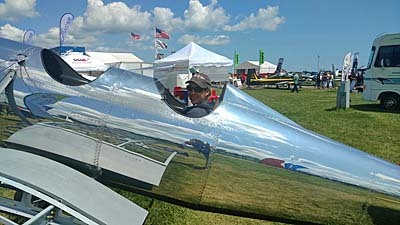 One aircraft at EAA AirVenture Oshkosh really caught my eye. OK, truth be told, dozens of aircraft caught my eye but this shiny example seemed to be looking back at me. We simply had to do a video interview with the developer of the 1930s-era Ryan ST because of its fascinating history and its handsome good looks. 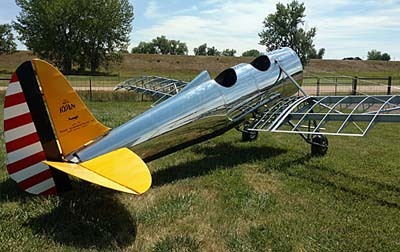 If you love vintage aviation, this should grab your attention as it did mine. Nick Pfannenstiel is a young developer with a mission, to create or, more accurately, re-create the Ryan ST. He began the design phase of his 95% scale Ryan ST in June 2015 and construction began in early 2016. By 2018, you see the aircraft is nearly finished form. The project is not merely a personal fascination for Nick. He will be selling a builder’s kit and specifically chose the 95% scale to make it enough lighter to use modern engines. Nick explains this further in the video. He expects first flight fairly early in 2019. He plans to offer motor mounts for either D-Motor LF-39 or Rotax 912. Availability of the engine mount will be determined in spring of next year by which time we may know more about the European D-Motor that has attracted attention for its simplicity. Meanwhile, the Rotax is a solid choice, as all readers know. Thanks to Nick’s effort, you won’t have to spend nearly that much; he has established a price for his kit: $31,890, not including considerable effort to polish the aluminum as you see in the nearby photos. A quick-build option for $3,000 will likely be popular. “We estimate that if a builder really splurges on the kit, he or she should be able to get in the air for less than $75,000,” Nick estimated. Build time will exceed 1,000 hours but this is modern, CAD-designed kit. 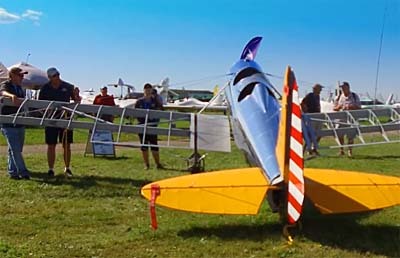 Nick and his Timber Tiger Aircraft company are located in Brighton, Colorado. Contact him via email or phone: 303-725-5439. 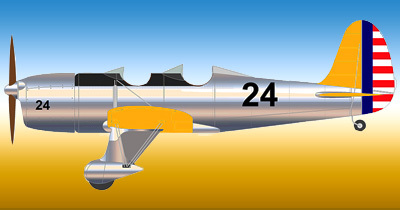 T. Claude Ryan was the founder of the Ryan Aeronautical Company. You know this man even if you may not recognize the name. Another of his companies, Ryan Airlines, was the manufacturer of the Ryan NYP, more famously known as the Spirit of St. Louis. The first Ryan ST flew for the first time on June 8th, 1934 and production began the following year, when nine aircraft were delivered. Production rates remained low — about one aircraft every two weeks — but this changed in 1940 when deliveries to military forces began in earnest to support the war effort. Total production of civil and military aircraft before WWII numbered 315. Another 1,253 military versions were produced in ’42-’43 totaling 1,568 aircraft of all models. Hear Nick describe his creation in this video.